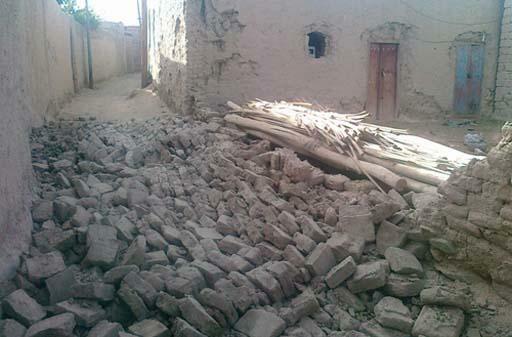 An earthquake measuring 5.3 on the Richter scale jolted Iran’ north eastern province of Khorasan Razavi, on May 3, leaving at least 2 people injured. The tremors occurred at 1:42 local time (GMT +3:30), according to a report from the Seismography Center affiliated with the Tehran University’s Geophysics Institute, Iran’s state-run IRINN TV reported. The earthquake’s epicenter was located at 60.48 degrees of longitude and 35.75 degrees of latitude at a depth of 7 kilometers underground. Hojjat Ali Shayanfar, director of the provincial Crisis Management Staff, said that rescue teams have been sent to the earthquake-hit areas. Earlier in Apr. 5, an earthquake measuring 6 on the Richter scale shook Iran's Mashhad city and its districts in Khorasan Razavi province, leaving two people dead. At least 17 people also got injured.